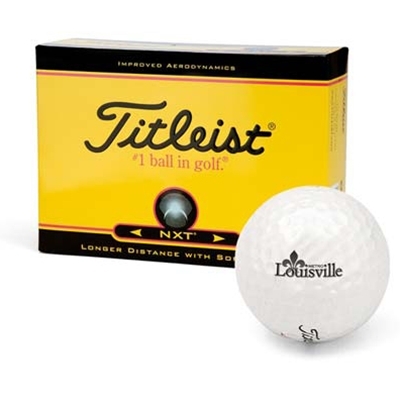 With the wealth of golf courses in the Louisville Metro area, how better you show your support than with a set of Official Metro Louisville golf balls! The Titleist® NXT® golf ball provides average and skilled golfers with long, straight distance with the driver and long irons, while maintaining responsive, soft feel and consistent playability. Each ball is imprinted with the Louisville Metro Logo. One dozen minimum order.